The launch trailer for Minecraft: Story Mode Episode 6 'A Portal To Mystery' features community guest stars in special behind-the-scenes footage from the recording booth. 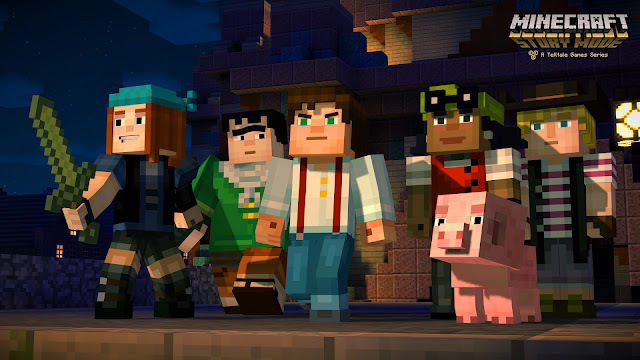 Players will be able to interact with several popular Minecraft community members including Joseph Garrett as Stampy Cat, Stacy Hinojosa as Stacy Plays, Dan Middleton as DanTDM (The Diamond Minecart), Lizzie as LDShadowLady, and Jordan Maron as CaptainSparklez. Episode 6 release tomorrow, June 7th, on Xbox One and PlayStation 4.